My skin has always been pretty good. From a young age, I´ve been really regimental with cleansing and moisturising, which has definitely helped it, however I was also a heavy sun worshipper in my teens, which has left my skin slightly sun damaged, with patches of pigmentation. 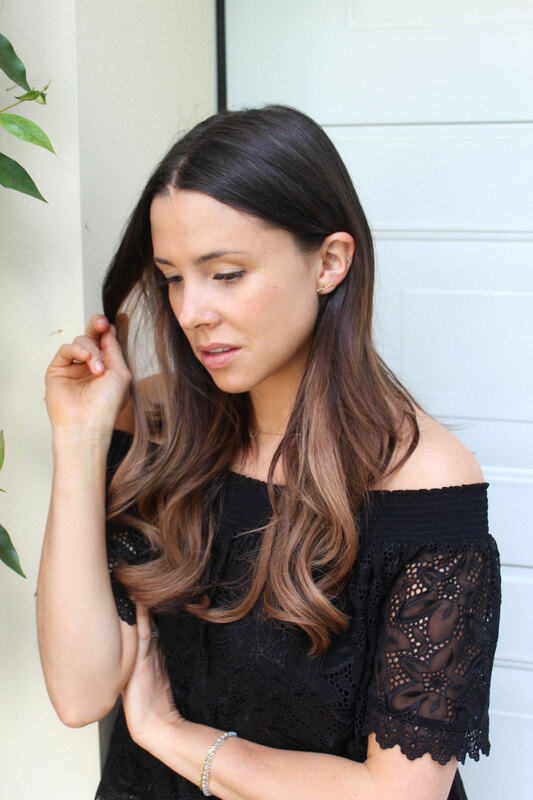 When that said, over the past few years, I have been so strict with SPF (I now wear SPF50 every single day – even when the suns not out!). 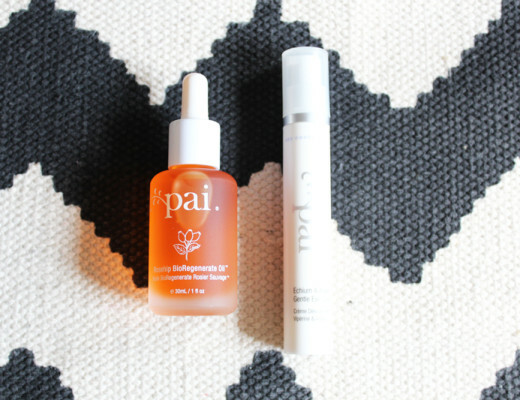 So I´m a firm believer that it´s never too late to start taking care of your skin. But the sooner, the better. 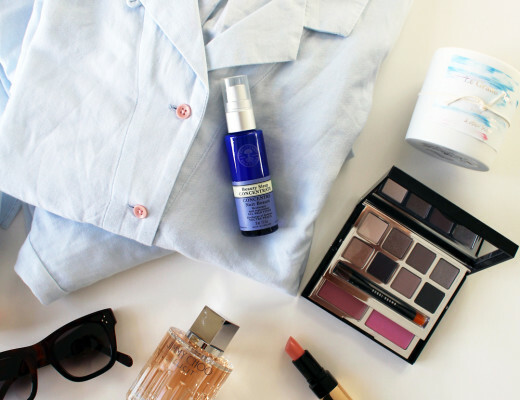 There´s no denying, I am skincare and beauty junkie, and I want to know everything! Whenever I have a facial, I tend to spend the hour quizzing my therapist about all the latest methods, tips and tricks, and what more I can do with my own complexion. As we age, we lose collagen at the rate of 1.5% a year from our early 20s. 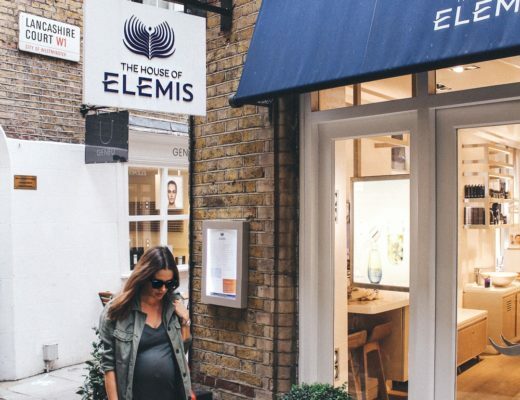 This loss results in wrinkles, fine lines, dry, blemished or thinning skin – hence the need to really up our game and start making our skincare routine an essential part of every day! Did you know that your skin is the largest organ of the body? For this reason, it naturally acts as a waterproof, protecting us from damaging sunlight and other elements that can cause ageing. Being a protective layer, it will naturally wear and tear more easily, so it needs a lot more love and care than you might think. Your skin is made up of three layers: Epidermis, dermis and subcutaneous layer. Collagen is mainly found in the dermis, and is a critical structure to give your skin its plumpness. After hitting 30, I can definitely feel my skin changing. It´s not as plump and dewy as before, the layer is thinner, and when I´m dehydrated from travelling, late nights and work, it definitely shows a lot more than before. 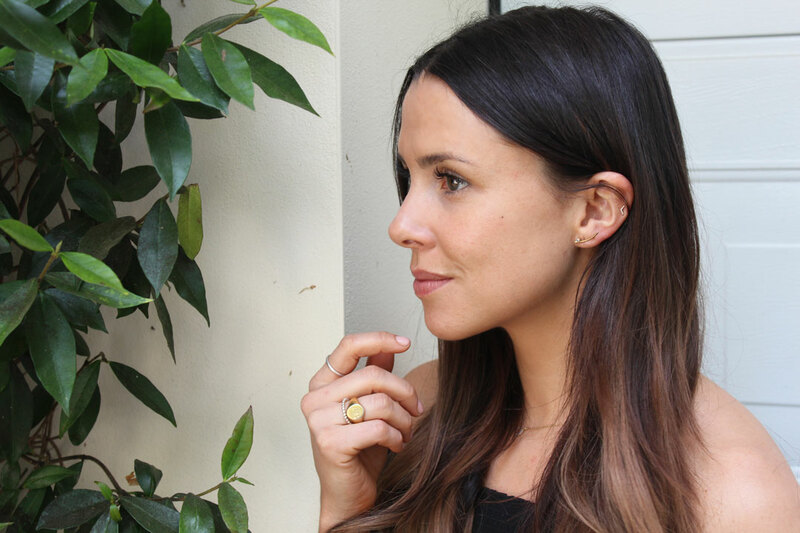 We can all achieve bright, luminous and healthy skin if we want – but it´s not all about what your´re putting on your skin externally, it´s as much, if not even more important, what goes inside you. We all know good nutrition leads to a healthy body – inside and out. 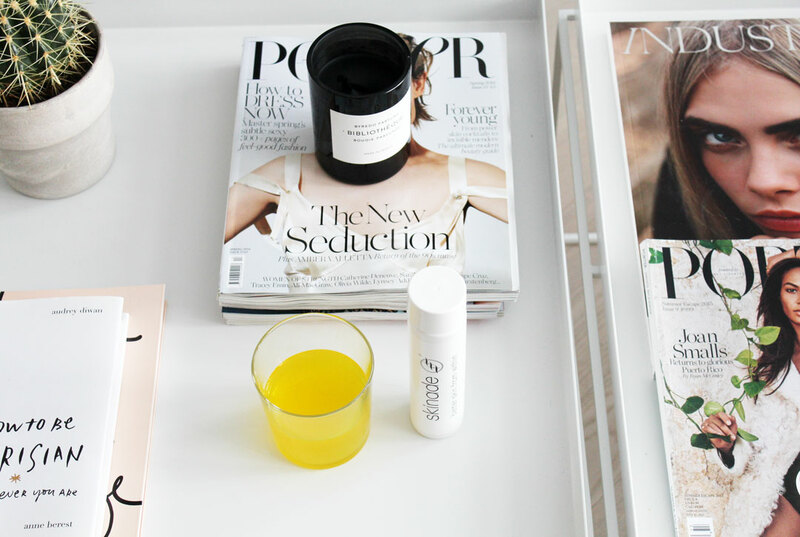 For optimal results, you can no longer just rely on a traditional approach to skincare; so the need to look at things on a 360-degree level, is essential. It´s a drink. For your skin. It works from the inside out to rebuild and strengthen the collagen matrix below the skin’s surface, boosting natural levels of hydration and helps reduce the appearance of fine lines and wrinkles. Developed by UK scientists and manufactured in the UK, it contains a high-grade of collagen (sourced from fresh-water fish) and essential micronutrients. Subject to what it may initially look, and sound like, the drink contains no artificial flavours or colouring and it´s less than 35 calories per bottle, with the natural flavours of peach and mangosteen. 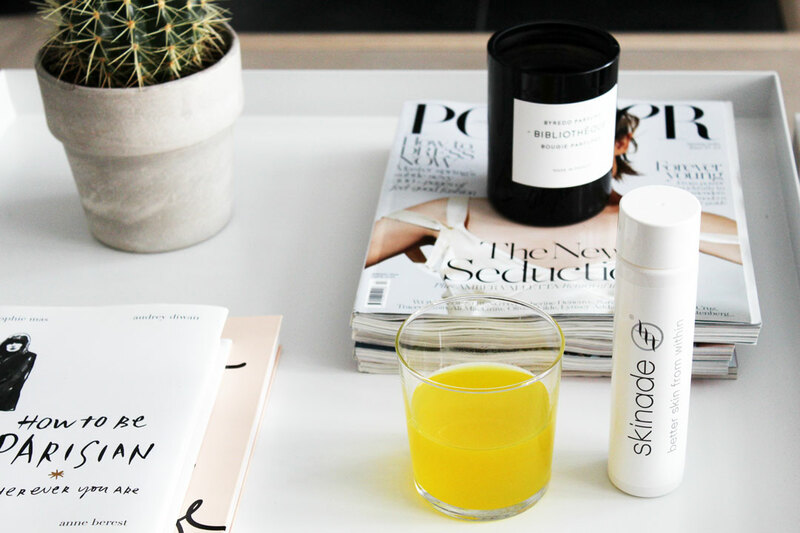 Skinade claims that drinking a bottle a day results in firmer, more even toned, hydrated, radiant, youthful and healthier looking skin. It also helps repair your connective tissue, so you’ll benefit from stronger, healthier and faster-growing hair and nails. 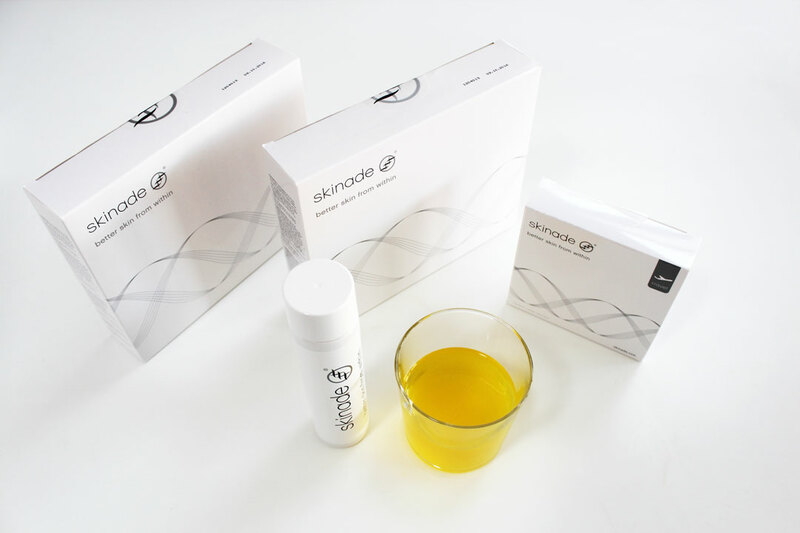 Traditional anti–aging products only function on the surface of the skin, but Skinade works from the inside out, increasing collagen in the bloodstream by adding 7000mg of hydrolysed marine collagen from each bottle (your daily dose), but more importantly triggers the body’s own collagen production by firing up. 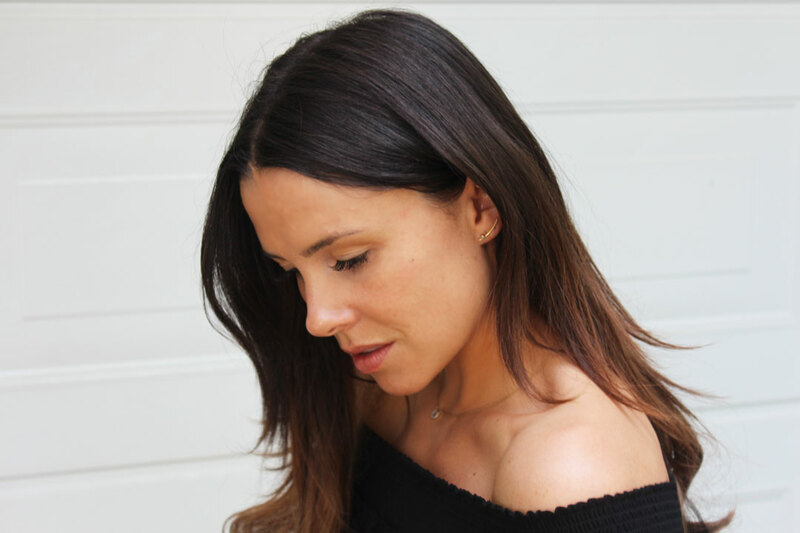 By increasing the collagen in the bloodstream, it will also boost the body’s production of hyaluronic acid, which is responsible for optimising your hydration levels. If you were to try to take Skinade’s ingredients in tablet form, you would need to swallow around twenty large tablets daily (gross). Not only is this difficult, but the body also finds them tough to digest. The valuable nutrients would pass through your system unused instead of being absorbed by the body. Vitamin B Complex – Contributes to the maintenance of normal skin health and the protection of cells from oxidative stress, promoting more clear, glowing and radiant skin. Vitamin C – Essential for natural collagen formation and maintaining the collagen matrix, and is a vital protection for the skin by boosting the immune system and reducing free-radical damage. L-lysine – An essential amino acid that is key to rebuilding the collagen matrix at cellular level. MSM – Helps collagen and keratin formation, improves skin elasticity and inhibits cross-linking of collagen cells, a major cause of skin ageing. Hydrolysed Marine Collagen – High-grade marine collagen sourced from fresh-water fish, low in sodium and avoiding mercury contamination. Omegas 3 & 6 – Sourced exclusively from organic flax seed oil which play an important role in balancing dry and oily skin. I drank one Skinade bottle every single day (mainly with my breakfast) for 60 days. As I was travelling a lot this period, they provided me with a batch of travel sachets, so I could continue the programme uninterrupted. Although the flavour is debatable by some, I personally found it really pleasant to drink, and it quickly became part of my every day routine without even thinking about it. Skinade teamed up with Santi Clinic, so they could accurately measure my results using their scientific skin analysis assessment. So, there was no hiding, and an ideal opportunity to see if it actually worked for me. Having hit 30, and knowing the rapid decrease of collagen, I was also intrigued to see how that improved, as well as my overall elasticity. The general feedback initially from Santi Clinic, was my skin was younger than my years (which was great to hear), however they did confirm the low hydration levels, which was no surprise. My collagen and elasticity were both good and slightly above average. I would also like to add that during this 60 day period, I was doing a lot of travelling, and two long-haul flights during this space of time. As you know, flying is incredibly dehydrating for your skin, and unfortunately I believe this may have affected my overall results. However, I would like to add that my skin is feeling so much firmer, brighter and more luminous (which has also been pointed out by my family and friends). The skin texture feels a lot tighter and a lot of my uneven patches with the pigmentations have diminished. Clearly, I have a lot more investigation to do when it comes to my hydration levels, which will definitely be a priority going forward. 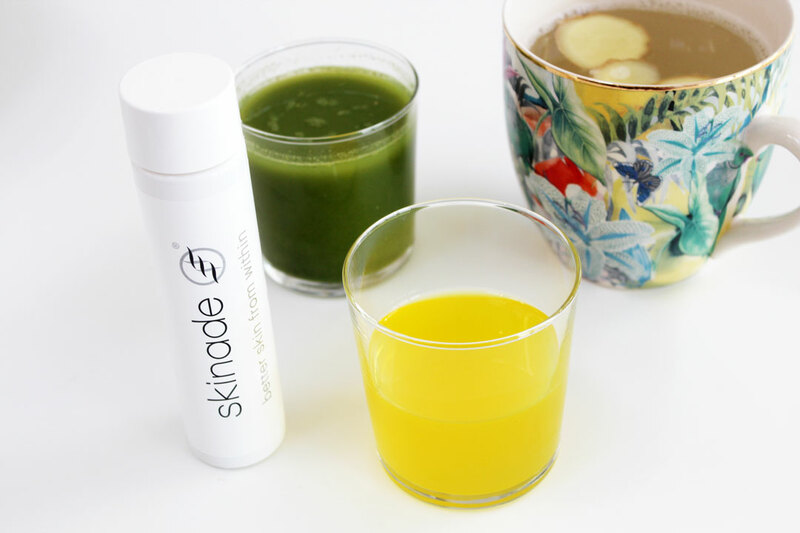 But haven taken Skinade for 60 days straight, has shown me that there are still ways I can improve my skin health, and I would definitely recommend it as a great addition and overall boost for a more glowing complexion. Buy your Skinade course here. This was a collaborative review with Skinade. All words, opinions and results are 100% genuine and entirely mine throughout. I am fighting with acne for as long as I can remember. You are so lucky to be having such perfect skin. Talking skincare I’d love to know whether you can recommend some self tanning detergent? As I am really pale I would love to try and add that “holiday glow” without heavy sun exposure but am really cautious about using self tanning products so far. That is very kind of you to day, thank you! The cleansing tip is a very good idea, as I might be cleansing a bit too much sometimes… I do love Suti, so I will try that one for sure, thank you for the tip!